Great site Map way to go. Recently completed, the Marion Sports and Aquatics Center boasts of its third largest logo in the state. 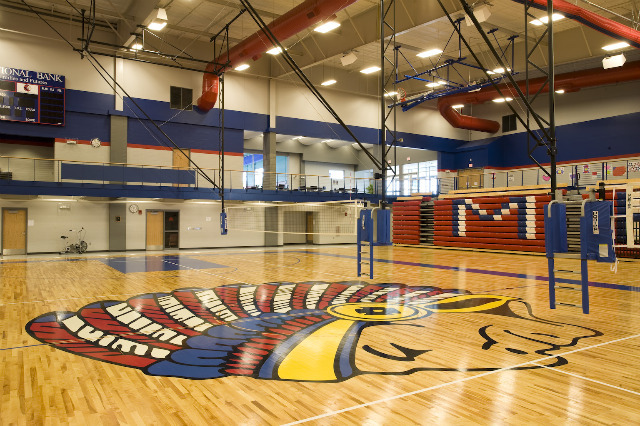 The Proud Warrior is the mascot of Marion High School. 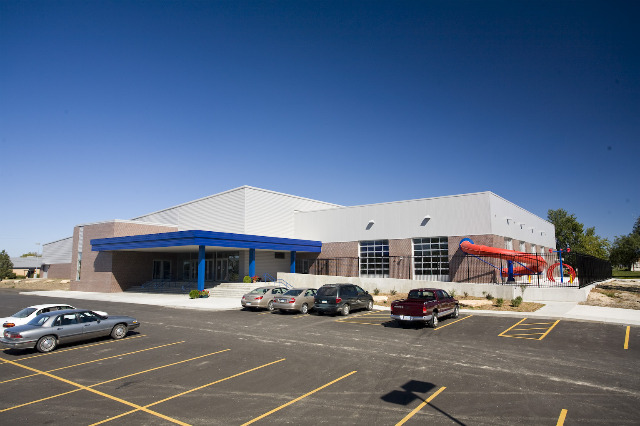 Volleyball matches and basketball games are held here and across the street at the elementary gym allowing spectators to easily attend all games during the course of an evening. But that's not all; it also has an indoor walking track around the gym, as well as a six lane indoor/outdoor pool, with spray features and slide. Daily tickets ($2 per person) may be purchased upon arrival or memberships are available.